A wise person once said : “April showers brings May flowers.”, and at Top Business, we can’t agree more! 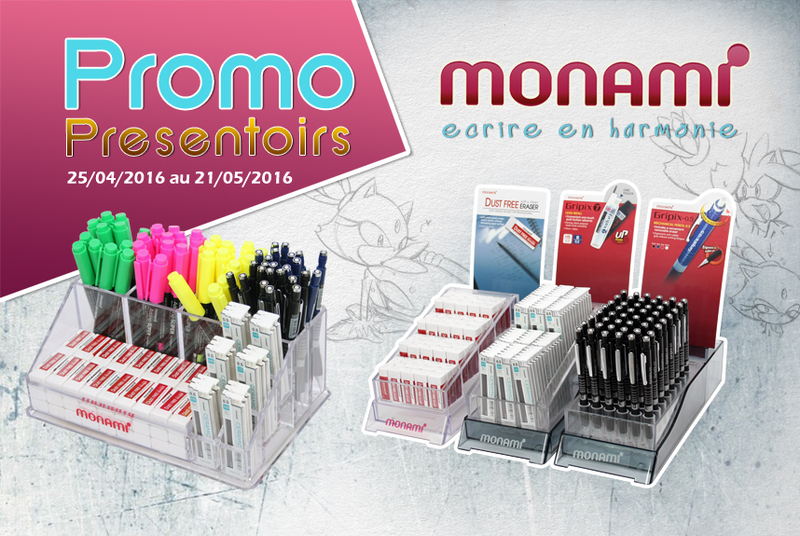 Our flowers are very special promotions on MONAMI brand products, from 04/25/2016 to 05/21/2016, that we are offering our dear clients. You will benefit from a display of 25% on erasers displayers. Each displayer contains 56 small-sized plastic rubbers that allow a precise, clean and easy pencil erasing experience, both on normal and tracing paper. The displayer’s price is 77,84 MAD only. You also benefit from a display of 15% on pens’ displayers, allowing you to benefit from a set of pens of multiple colors at the unique price of 106,50 MAD per displayer ! Every displayer contains 75 pens, available in 10 different colors. No stains or undesirable marks, these pens got your back! Liking our offers? Well, we are pleased to tell you that we have other surprises as well ! Contact Top Business to have more information about it. A SPECIAL SPRING BREAK WITH TOP BUSINESS !Welcome our new brand : DELI ! Welcome our new brand : DELI ! A SPECIAL SPRING BREAK WITH TOP BUSINESS !